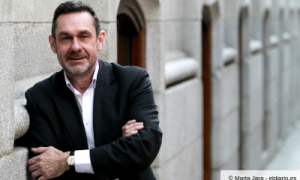 In this Studium Generale lecture, Paul Mason outlines a framework, some key concepts and policy suggestions to lead info-capitalism beyond its current impasse. In 2015 he predicted that, unless we abandon the neoliberal economic model, it will begin to break up globalisation. In 2019, Mason says time is critical for alternative economic programmes to emerge alongside the micro-practices of peer to peer, collaborative and commons projects. Mason will present the results of more than three years of debate and discussion with politicians, civil society, business and economic critics of his work.